One of the things I love about my ‘day job’ at J.Carroll here on the Central Coast of California, is the opportunity to meet and work with new people. 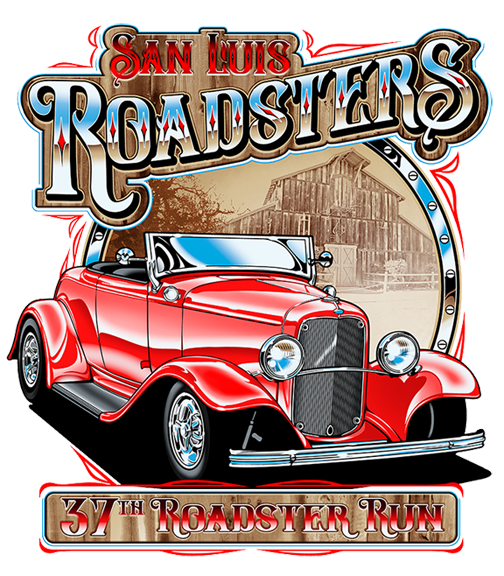 A couple years ago now, a gentleman came in and specifically asked to work with me – all because of another shirt design that I had done for his grandson’s club baseball tournament (ok well it had a Ford Woody on it but still). 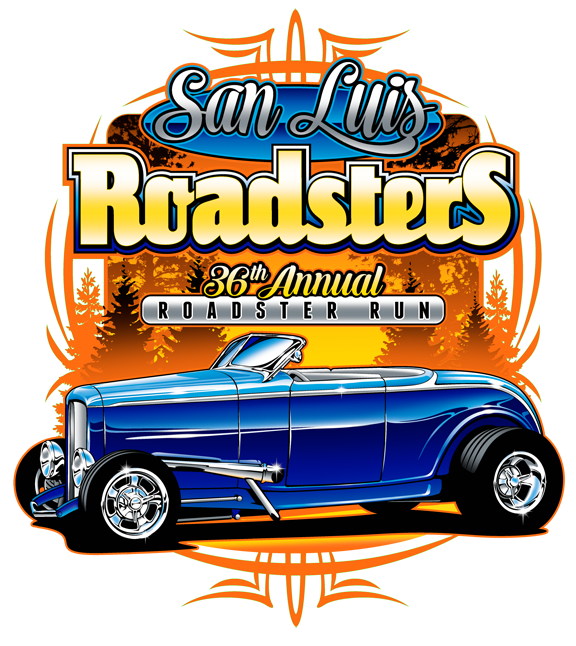 Sherm is part of one of the older and more well established California Roadster Clubs – The San Luis Roadsters. He also happens to have two very sweet rides, and knows his way around a camera as well – check out some of his photography here. 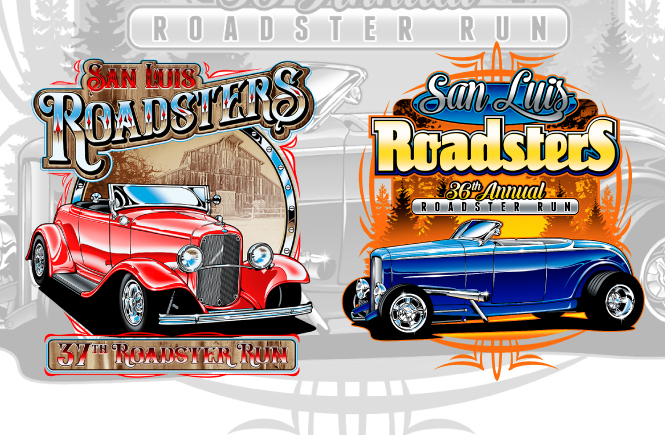 When we first met to chat about the design, he brought in a stack of their past car show and rod run t-shirt art. Holy cow, there was some amazing art in there! I was nervous – I hoped my design would be worthy. 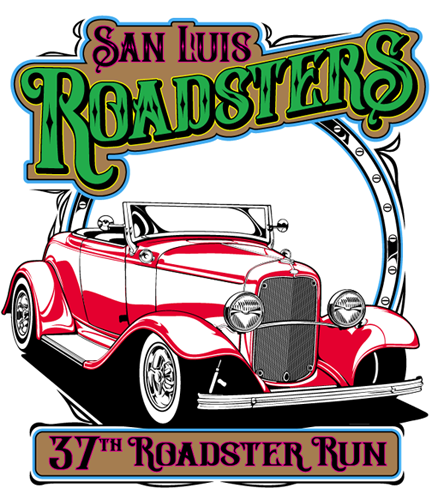 The theme of that year’s Rod Run was Cambria/Hwy 1 – the club sets up a whole weekend’s worth of cruising, eating, and lodging based around a certain part of the Central Coast, and that year they were headed up into the pines. Participants don’t know about the year’s festivities until they arrive for the event – kind of cool! He gave me a couple awesome high res photos of the car they wanted to use, and I created my comp. Needless to say, they loved it! Here is the final design – created as Photoshop spot color channels and printed?at J.Carroll. 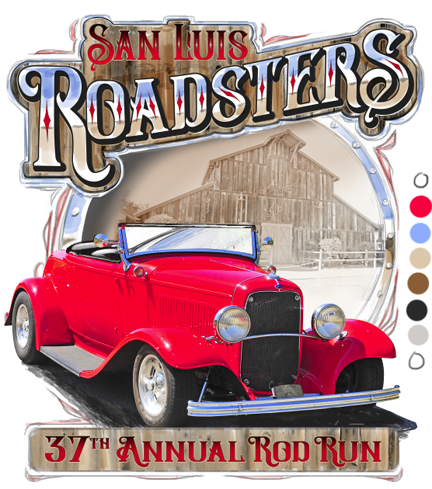 Last year the theme of the Rod Run was different, and one stop was a cool barn?that doubles as an event venue. Sherm once again provided me with the vehicle photo as well as an image from their main stop, and I created a quick comp using Photoshop and some Illustrator vector elements. That was approved, and I started in on the vector art part of the design. As I create it, I think of how I’d like to make my selections to do the final color work in Photoshop. Once I get the art to where I feel it’s ready for Photoshop, I export the working file from Illustrator to Photoshop – you can keep your layers! 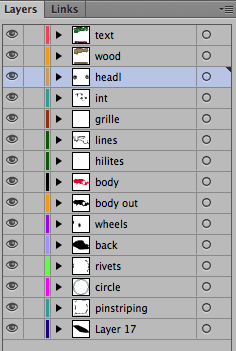 Then it’s onto finishing – I use Photoshop Spot Channels for my process. I like how I can layer colors over each other – in this case the shades of khaki/brown/black in the wood, and a very light halftone of black over the red to get more of a reflection in the side of the car. I could have used an additional, darker red, but sometimes it’s not worth the extra print cost.